Nu jazz is a term used to describe the genres flirting with rock and electronics, often with solid electric guitars and electric bass, with overdubbing and other studio effects, resulting in a more manipulated, less improvised kind of music. Norwegian trumpeter Nils Petter Molvaer was one of the first in the genre, with his stunning "Khmer", released on ECM, an album with elements of dance, heavy beats, screaming guitars, floating synths and soaring trumpet, alternated by slower, more meditative moments. But of course there are others, comparable in the approach described above, but with differences in spirit : Rob Mazurek and Cuong Vu. During his stay in Brasil, cornettist Rob Mazurek created the Saõ Paulo Underground, like its Chicagoan namesake, switching from duo to trio to quartet, now with Mauricio Takara on drums, percussion and cavaquinho, Guilherme Granado on keyboards, electronics and samplers, and Richard Ribeiro on drums. 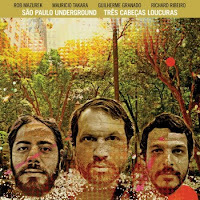 The music is a rich amalgam of Latin rhythms, upbeat melodies, catchy themes, funny moments at moments completely distorted or even attacked by heavy psychedelic electronics. The beginning of "Colibri" somewhat reminded me of Marc Ribot's "La Vida Es Sueño", but otherwise the nature is more rhythmic and wall of sound, with many, many layers of music, often lightfooted, but then with a twist. Fun, but with a sharp edge. For those of you familiar with the two previous albums of the band, they will be in for a surprise : the music is pretty straightforward in form and melody, yet with an incredible wealth of ideas and playfulness with sound, as in the strange dark rumbling that suddenly begins to dominate the tune, pushing back the repetitive guitars and trumpet theme on "Lado Leste". Also Mazurek's joyous, often jubilant trumpet-playing is fantastic, as in his EP "Him" many years ago, this is again a rhythmic sound fest that will leave you in a good mood for many hours to come. The Don Cherry of today. The attention to detail is everywhere, and the result is finished : just as it should be. 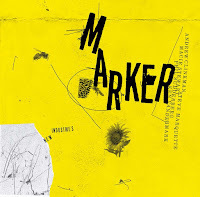 I have called Rob Mazurek a musical genius once, just because he keeps pushing his own boundaries, and hence also ours, delivering fantastic albums in many styles, all invented by him. 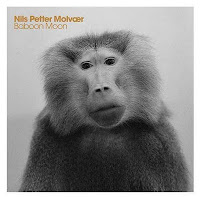 Nils Petter Molvaer's "Baboon Moon" is of a different nature : he created his own style with "Khmer" and has basically stuck to it since, perfecting it, polishing it, making it more dramatic and accessible for broader audiences. The quality of the playing, also by Stian Westerhus on guitar and Erland Dahlen on drums, both from a rock background, is exceptionally good and varied. But it is more of the same, better at times, quite impressive at moments, but more of the same nonetheless. But like all good rock music, it is easy to digest and quite compelling. Molvaer is also a great builder of tension, leading the band and the overall sound to predictable paroxysms of volume and ending his soaring solos in ever increasing high notes. Molvaer is a master of drama, in the same vein as Pink Floyd, and actually, some tracks, like "Bloodline", and even more "Sleep With Echoes", could have been penned by the later day Floyd - think "Division Bell". 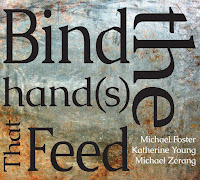 Too polished, too predictable, yet great fun. 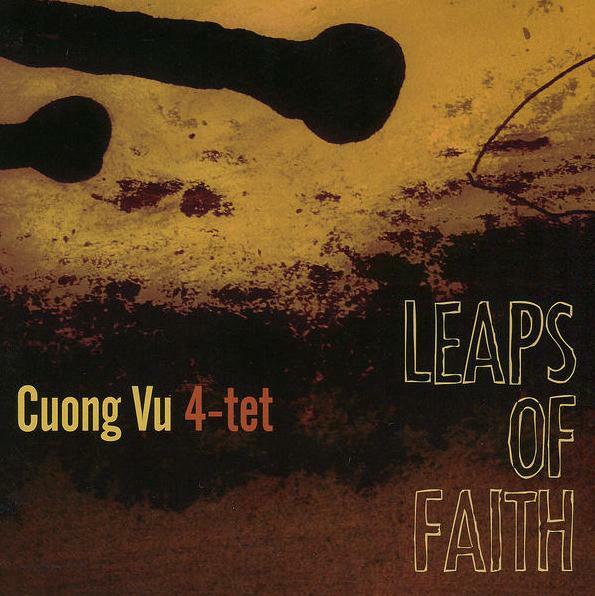 This album has been lying here for a while, because of the mixed feelings I have : Cuong Vu is an interesting and good trumpeter, who is a little bit unsure of which direction or which voice to take. I have liked all his previous albums, and I like this one too, though a little bit less. His 4-tet further consists of Ted Poor on drums, Stomu Takeishi and Luke Burgman on electric bass, who take on some standards, such as "Body and Soul", "My Funny Valentine", "All The Things You Are", and - for crying out loud - even "Something" by The Beatles, and - for crying out louder - "My Opening Farewell" by Jackson Browne. 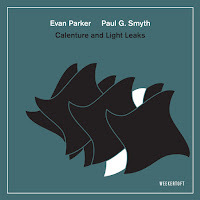 Even with some highly questionable core material, they make these "standards" completely their own, and in a quite interesting way, as in the title piece, which is based on Coltrane's Giant Steps. 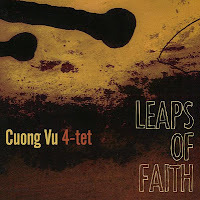 Some pieces are great, especially "Childlike" and "I Shall Never Come Back" (sound clip below), two compositions by Vu. 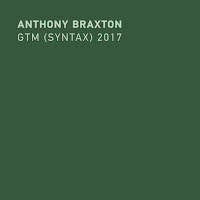 If I can give him one advice : stick to your own musical vision, and stay away from covers; What you do is great, especially in the dark atmospheric, modern and inventive compositions you create. Let the old guys rest. 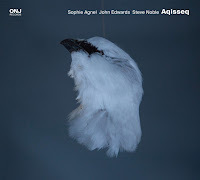 I guess the sad bit is that Nils Petter Molvaer of course found his own niche, yet not many people seem to be aware that Jon Hassell is probably the grandfather of them all, Arve Hendrikson included. Hassell seems to still be producing scintillating 'mood' music and has a band with some very interesting players.